Many people ask why we base a baby’s mental development on the due date and not on the date a baby is actually born. The reason is that the brain grows at a set pace, whether your baby is born now or is in the belly. The brain of a baby born at 37 weeks is not as advanced as that of a baby born around 42 weeks. At 40 weeks pregnant, your baby is about 20 inches long and weighs roughly 8 pounds. The days get very exciting from now. 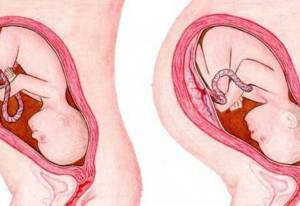 Your baby is fully grown and ready to be born! In contrast to a baby’s initial development, the leaps, the delivery cannot be predicted to the day. But one thing is certain, from today you can have a home birth. If you have chosen to give birth in hospital, your midwife or doctor will assist with the birth. The waiting starts … Take it easy but don’t spend all your time waiting for the moment that your baby announces its imminent arrival with that first intense contraction. Baby could come now but it could also take another five weeks. Only 4% of babies are born on the due date. Please mind the fact that due date calculation is far from an exact science. Only 4% of all babies are actually born on this date.